What is the cheapest time to call your friends long distance? Work you way throught the ws and find the answer of the riddle. Vocabulary dealt with belongs to the topic of city life. The above printable, downloadable handout is recommended for high school students, elementary school students and adults at Pre-intermediate (A2), Intermediate (B1) and Upper-intermediate (B2) level. 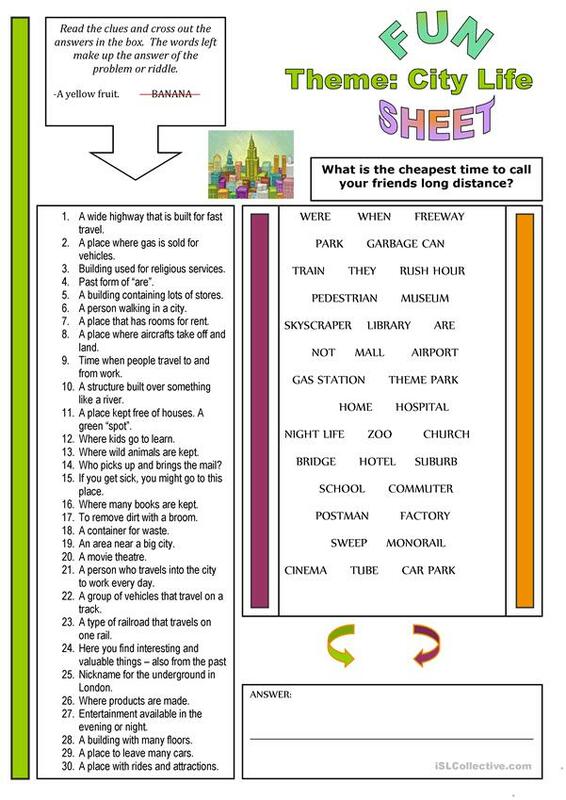 It can be used for working on your groups' Spelling, Reading and Writing skills. It features the vocabulary topic of City.